This year’s Orange Bowl, sponsored by the Baptist Health South Florida Fellowship of Christian Athletes, featured Charlie Ward as this year’s keynote speaker which honors student-athletes, coaches and communities that are committed to making a difference in young people’s lives was held at its 45th annual Orange Bowl Prayer Breakfast. The prayer breakfast took place on Tuesday, Dec. 29, at Jungle Island, 1111 Parrot Jungle Trail. HOUSTON, TX. 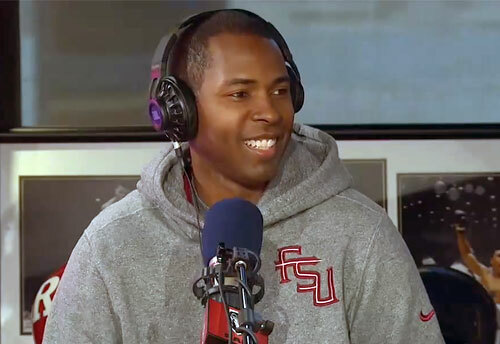 — Florida State University Heisman Trophy winner, Charlie Ward, has been named the keynote speaker at the SELF Foundation Opening Day Breakfast fundraiser on April 1. The event will be held at Vic & Anthony’s in Houston Texas, with doors opening at 6:00 a.m. with the event following from 7:00 – 8:30 a.m. The SELF Foundation was started by Astros manager Bo Porter & his wife Stacey, to provide and support programs dedicated to improving and impacting the lives of others through Sports, Education, Life Skills and Faith. 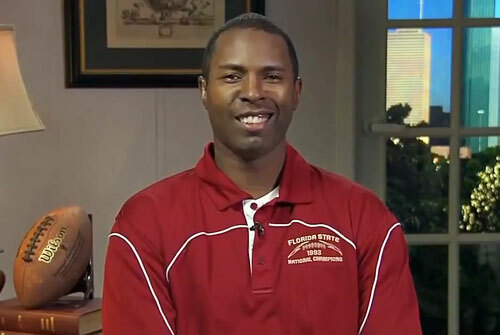 Photo shows former FSU Heisman Trophy winner Charlie Ward speaking with ESPN Numbers Never Lie’s Jemele Hill and ESPN’s Chris Broussar.